GDP: a brief but affectionate history? Here we go again. After Economics of Enough, enlightened economist Diane Coyle has just published another book whose main point is anything but clear. Her recent GDP: A Brief but Affectionate History is being reviewed the world over, most recently by the financial world’s loudspeaker, The Wall Street Journal. A couple of months ago it was launched in the City of London by a bunch of bankers and their peers. A skeptic may say that this kind of publicity is enough to dismiss the book as another attempt at preserving the status quo. I disagree. I’m always interested in publications that deal with important economic issues. This is why I bought and read the book. Conclusion: I didn’t like it; but the story is more complex than that. As you know, in early 2013 I published Gross Domestic Problem. Diane Coyle reviewed my book. As expected, she didn’t like it. She believed my thesis that GDP was used as a political weapon was not plausible and she drew a parallel between my work and that of Tim Jackson, the celebrated author of Prosperity Without Growth, whom she obviously has a profound disagreement with over the desirability of economic growth. I actually like Jackson’s work and I believe that his simulations of non-growing economies (at least in conventional GDP terms) are extremely useful to move the debate on growth forward (by generating much-needed experimental information on steady state economies, given that real life examples of economies that ‘degrow’ by design do not exist). She also accused me of limiting my quotes from Kuznets, one of the creators of the national income accounts, to a single source of 1937. Which is of course not true, as I’ve used at least four different sources: 1934, 1937, 1941 and 1962, to show that Kuznets had always had doubts about GDP and how it was being used by politicians and mainstream economists. Now, after more than one year, Ms Coyle publishes her book on GDP. Great….we need more debate on it. Well done, Diane! Unfortunately, the sub-title, “a brief but affectionate history,” leaves much to be desired. Couldn’t you find a more serious title? GDP is a serious matter, not just an after thought. What do you mean by affectionate? Even the European Union, the World Bank and the OECD agree that GDP has helped mask environmental degradation, income inequalities and the depletion of natural resources, which are the key problems threatening the future of our civilization. How can one be affectionate towards this? 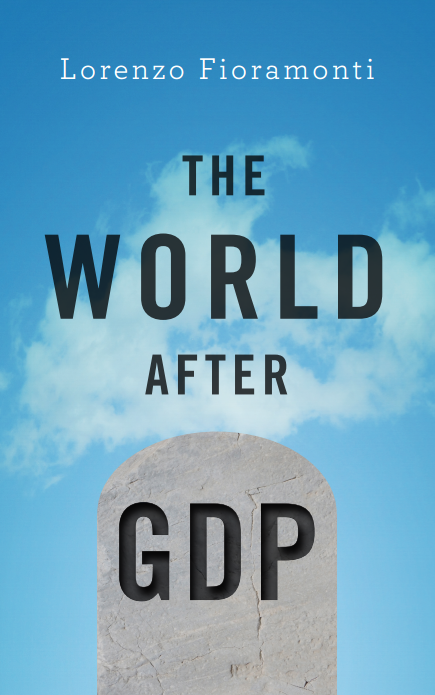 But of course, it all becomes clear when we capture the book’s main message: GDP is just fine. It may require some general tweaking, but all in all GDP has done a good job. Wow! That’s quite something. Obviously, between people like me and Ms Coyle there must be more than a generation. Coyle is an enthusiastic economist, who seems to have benefited a great deal from the current economic system in which she occupies leading positions (among others, she has worked for the UK Treasury and sits on the BBC board). She is probably fond of the type of world GDP has helped to build. I was born in the age of climate change. I’ve lived in most ‘developing’ countries and currently live and teach in Africa. I see the absurdities generated by the GDP mantra everyday. I’m an environmentalist and a humanist. I don’t sit on any board. I actually hate boards! Those who have read Gross Domestic Problem, and are now reading Coyle’s “affectionate” history of GDP, will note that there is a striking similarity between the tables of content of the two books. Coyle appears to have used, almost one by one, the same sources I mention in the early sections of my book. Yet, she has omitted the most critical information coming from those sources, including Kuznets early doubts about GDP. She prefers quoting Richard Stone, another forefather of GDP, but much less skeptical than Kuznets. Yet the most interesting thing is that, not once throughout the book, does she refer to my work. Not even to criticize me. I’m not a narcissist, but still find this odd, especially given the fact that just a year ago, she reviewed my book, till then the only comprehensive analysis of GDP and its history. Nor does she include the work of people like David Boyle and Tim Jackson, who have written about GDP and its history (although incidentally and from a critical perspective). And she knows our work. 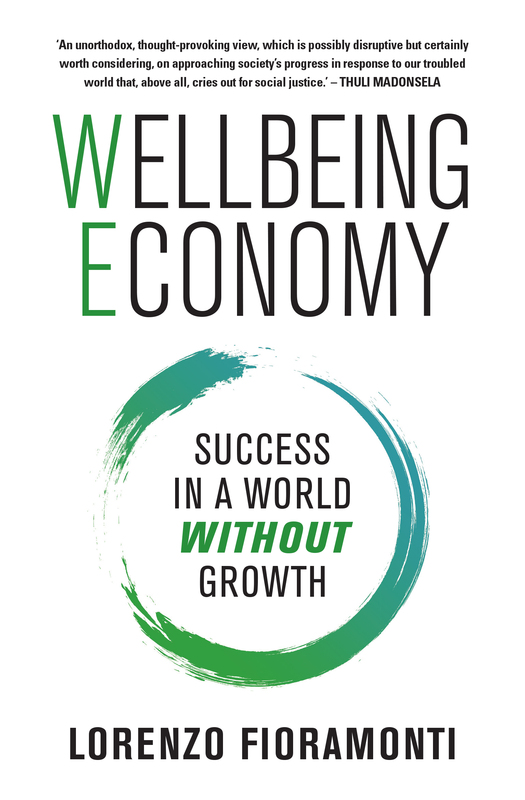 In her “affectionate” book, she reiterates the conventional response that we keep hearing from the defenders of GDP: it is a good measure of economic output, not a measure of welfare. This hot air, as I’ve tried to explain in Gross Domestic Problem. At a minimum, GDP is a very selective measure of economic output, as it excludes important productive sectors in society, from the informal economy to household services. It is also a bad measure of economic performance as it does not calculate costs, thus skewing the true understanding of what adds value to society (e.g. if we neglect costs, most polluting activities get a face lift). Because of this myopic representation of the economy, GDP-based policies end up rewarding economic activities that may be detrimental to economic performance, while neglecting those who make economic progress possible (especially the services exchanged within households or provided by nature, without which we could not grow anything!). Unfortunately, GDP has also been used as a measure of welfare. Politicians do that everyday. The media does that everyday. We are told that GDP growth is invariably a good thing, with no reference to its quality. And Coyle does that too, stating clearly that GDP growth improves welfare and happiness (a claim that is as tenuous as arguing that GDP degrowth makes people cheerful). We all know that welfare depends on the type of growth and development model, and sweeping statements as to whether GDP per se makes us more or less happy should be avoided. And this is the other thing Coyle gets wrong. She is a staunch defender of economic growth, which she considers “essential”and “politically vital” (p.135). Not only she doesn’t provide any evidence for that. But she forgets to say that economic growth per se does not exist. It is GDP growth. Our economy is defined by GDP, which means that what is left out by this number is seen as uneconomic. Although I have no clear opinion on economic growth and would like to see more studies about steady state economies and degrowth by design (which are obviously not found in a world focused on growing GDP at all costs), I keep repeating that if we change GDP, also our understanding of economic growth will change. If we incorporate environmental costs and home production in GDP (something Coyle seems to be in favour of), then what we mean by economic growth will change accordingly. With these changes, we may very well realize that some of the countries that show nominal growth today, may end up showing economic downturnss if the measurement if revised and expanded (or changed altogether). This is a fundamental point, which Coyle and most mainstream economists do not understand: it makes no sense to talk about the desirability of economic growth as if growth was an absolute reality, something we touch and see, regardless of what GDP measures. In conclusion, Coyle’s affectionate history is a welcome read. It’s short, with a few useful anecdotes and she writes well. It’s a pity the book doesn’t really tell us more than you can find on any conventional economic website, including the OECD’s do-it-yourself statistical pages. It’s a pity that such a book, with the coverage it is benefiting from, may ultimately blind readers to the economic and political interests served by the GDP mantra. It is also likely that this book, like many similar books before, will eventually limit the transformative potential of the GDP critique. The fact that financial bankers like it and promote it is an indication of the acceptability of its conventional conclusions: GDP is fine; fix a little bit here and there and keep on business-as-usual. It’s not an academic book, although published by Princeton University Press. Those of us accustomed to peer-review may wonder why Princeton published such a book, with few pages of references and a title that would be more suited for a bookshop’s cooking section. If you wonder about the scientific profile of the book, then think of this: the book concludes with a dedication to and a full picture of Coyle’s dog, Cabbage. How affectionate is that? Long live GDP. What a book review. We need more pointed critiques like this! Many thanks for restarting a critical discourse and let us hope there will be a reply. I’ve only just been pointed to your review of my book on GDP. I’d like to respond to two specific points in it. First, I read your book when mine was already in production – you imply here that I copied your book, and I strongly reject that insinuation. The subject matter and sources on GDP are well-defined so it is not at all surprising we both used some of the same material. Secondly, my book was in fact peer reviewed, and positively so. As it is not an academic book, as you note, but for general readers, the decision not to include lengthy notes or references was intentional. thanks for your comment. I would like to clarify that I never implied you copied my book. As a matter of fact our arguments are quite different and our conclusions are in fact quite the opposite. The fact that your book was already in production when my GDProblem was published explains the omission, but it’s a pity you haven’t dealt with a wealth of pre-existing literature against GDP (from Hirsh, to Daly, Jackson and Boyle), which may have partly altered your conclusions. In any case, I’m glad that your book contributed to the debate on Beyond GDP and hope that somehow this will lead to a shift in the way in which we conceive of economic success in the future.